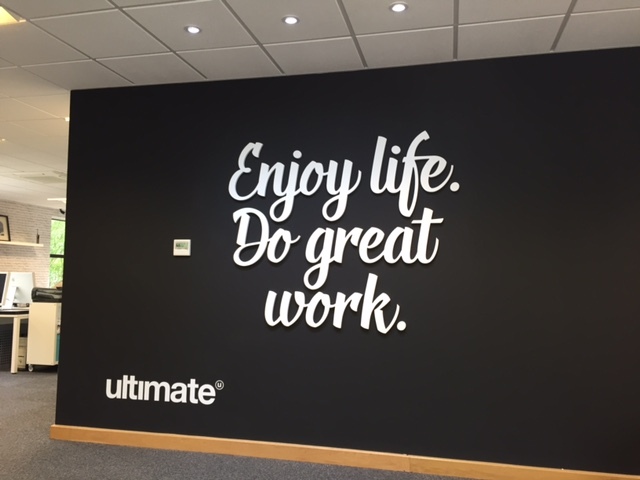 If you have visited the Ultimate offices recently you may have noticed a few changes. Aside from the glorious sunshine that Knutsford has had over the last couple of weeks, we have made a few changes to our office! We have helped to design so many of our clients’ offices, helping to bring their brand through to their working space in many unique yet powerful ways, that we thought it was about time we gave our own offices a lick of paint and a touch of Ultimate magic. 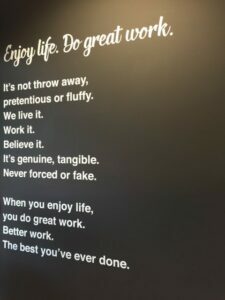 Our company slogan “Enjoy life. Do great work.” isn’t just a business tagline. We truly believe that by enjoying every day, the work that we do, the clients that we work with, and the space that we work in, we can produce the very best work for you. 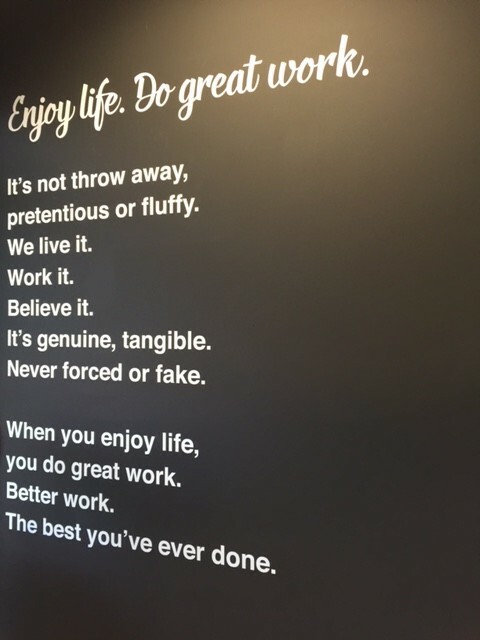 So, Charlotte and Lisa used our office walls as a completely blank canvas to bring our company culture and ethos to life. We work with some truly fantastic suppliers and, with a little bit of their help, some of their creative ideas have really come to life. We believe that your working space should be welcoming, comfortable and inspirational. By taking key aspects of our brand, and producing unique methods to display it, we have an office that exudes our personality around every corner. We have a few last bits to complete, but in the meantime, take a look at a few snapshots of the updates we have made, or come and see us soon and take a look for yourself! "Our brand is such a personal aspect of the company, and something that we wanted to set the tone of just right. Working with so many exciting brands in our portfolio, we wanted to ensure that our own brand reflects Ultimate and everything that we're about."